Wipaq offers you the most wanted security solutions for the public areas where the traffic is quite heavy. The full height turnstile model of ht400 is one such product which can be installed easily and it can withstand heavy inflow of population. 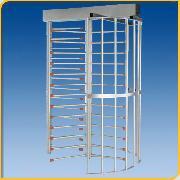 It is sturdy, made of steel and is powder coated which is rust free and easy to operate and install.